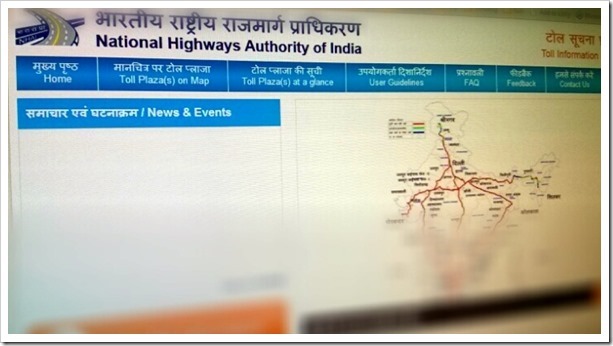 National Highways Authority of India (NHAI) is launching a new mobile app which will give updated information about toll charges and location of toll plazas all over the country. There has been constant complains about irregular toll charges levied by the employees, as there was no clear and cut tariff rate which public can access. But with the introduction of this mobile app, things would definitely change. Suppose a person is travelling from Mumbai to Pune for the first time. Using this application, he can find out the number of toll plaza’s enroute, different toll charges for two-wheelers, four-wheelers and trucks, facilities available at the toll plaza, concessions details and more. The app will also give information whether a particular toll plaza is legal or not (In few places, illegal Toll Plaza’s are run). This mobile app will definitely provide assistance for those who are not used to travelling on particular highways and they can cross-check the amount they are paying. The mobile app can be downloaded from www.nhaitis.org (currently the link for app is not available, but should come up shortly). As per Government sources, complete information about 255 toll plazas have been already updated in the mobile app and the rest of the information would be soon uploaded to make exact calculations regarding the toll charges. It seems that the application is only available on Android phones as of now, with plans of developing Windows and iOS versions as well. Those who do not have smartphones can also get updated information by sending a SMS to a number provided by NHAI. The app will provide updated information about all the toll plazas which are within the 100-Kms range of the mobile phone. Although Government makes it mandatory for all toll plaza operators to place the exact rates and concession details right at the plaza, there are several private operators who refuse to place such tariff rates. In such absence, toll operators sometimes misbehave with travelers and exhort extra fees or don’t offer the concessions which are government approved. This application will certainly make such incidents things of past. Kudos to NHAI for taking this novel initiative!